Consisting of dark eyes, grayish coat, and a ringed tail, Raccoons are nocturnal and omnivorous. 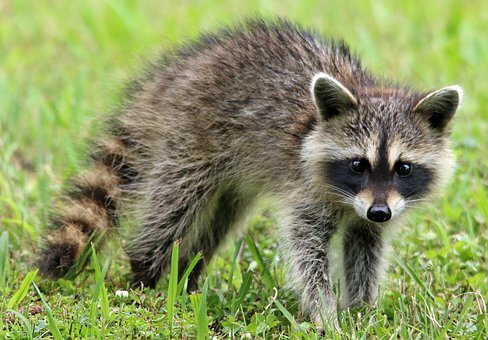 Due to their adaptability, the Raccoon is considered to be a pest as it may be found anywhere ranging from coastal marshes to mountainous areas. Residing in varying types of habitat, key elements such as food, water and shelter must be available to ensure survival. If those necessities are not met, Raccoons will take shelter where available, including your home. Safeguard against unwanted invaders by calling Pest USA!